Alleviate world hunger: produce more clean carbon dioxide | Watts Up With That? What is your carbon footprint? That is the wrong question to ask. A more meaningful question is–How much carbon dioxide does it take to grow the wheat required to produce a loaf of bread? Or–How much carbon dioxide does it take to grow the corn for the chicken feed required to produce a dozen eggs? Far from being a pollutant, man along with every animal on land, fish in the sea, and bird in the air is totally dependent on atmospheric carbon dioxide for his food supply. Some politicians complain that the United States with only 3% of the world population uses 25% of the energy. But the clean carbon dioxide which we produce is increasing food production everywhere on earth. China, on the other hand, is building new power plants at a record rate using the abundant domestic supply of coal they have and has now passed the United States as the leading producer of carbon dioxide. Although their coal has a high sulfur content, they are building the new plants without any pollution controls. The sulfur dioxide which these power plants are releasing to the atmosphere, besides smelling like rotten eggs is, in sunlight, readily converted to sulfur trioxide, the highly solublegas responsible for most acid rain. Photosynthesis is the process by which plants, using energy from sunlight, convert carbon dioxide and water into high energy fuels. It is responsible for all the fuel that feeds forest fires, and for the rapid grow-back of fuel after a fire. But even with the hundreds of millions of tons of coal and the billions of barrels of oil and gasoline that are burned annually, the carbon dioxide content of the atmosphere remains about .04%. It has been estimated that more than two hundred billion tons of atmospheric carbon are fixed yearly by photosynthesis, 10%to 20% by land plants, and the remaining 80%to 90% by plant plankton and algae in the ocean, which constantly resupply us with oxygen. Atmospheric carbon dioxide acts like a thermostat for plant growth, increases triggering vast blooms of ocean algae, and spurts in the rate of growth of land plants. As long as man burns coal and oil responsibly, that is with pollution controls that minimize the production of acid rain, the earth can never have too much carbon dioxide. The plants will not permit it. Water vapor is the most effective greenhouse gas by far With high humidity, even without cloud cover, the night air cools at a rate so slow as to be nearly imperceptible, particularly if you are trying to sleep without air conditioning. High humidity is the reason nights are so balmy in the tropics. At 100 degrees F and 100% relative humidity, water vapor accounts for only 2% of the atmosphere. It has a greater effect than all other greenhouse gases combined but, since it cannot be regulated, is rarely mentioned as a greenhouse gas. If human activity is not the cause, why are the ice sheets on the earth poles receding? They are melting for the same reason that the polar caps on Mars are melting. 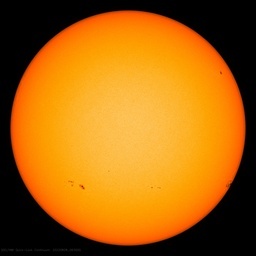 For the 200 years or so that a record of sun spot activity has been kept, it has been observed that global temperatures on earth correlate closely with sun spot activity,very low activity corresponding to a mini ice age, and high activity to global warming. Every second the sun converts 564 million tons of hydrogen into 560 million tons of helium, consuming its mass at the rate of 4 million tons per second. It has been doing this for 4.5 billion years and has about 4.5 billion years to go before all its hydrogen is used up. At that time it will have consumed less than 1% of its mass. This enormous solar furnace is responsible for climate change as well as all weather on earth. The U.S. has a domestic supply of coal that is alone sufficient to meet our present power needs and projections for growth for at least 1,000 years, even without building any new nuclear power plants. Burning the coal responsibly and releasing the carbon locked up in it as clean carbon dioxide will benefit crop yields all over the earth. The great atmospheric patterns of air movements ensure a steady supply of carbon dioxide for crop growth, and a steady supply of oxygen for animals and people. To increase the rate at which photosynthesis removes carbon dioxide from the atmosphere, a respected scientist proposed to the United Nations Intergovernmental Panel on Climate Change, or IPCC, seeding the ocean to trigger algae blooms. This practical, inexpensive, highly effective means for sequestering carbon dioxide would benefit the food chain in the oceans and increase fish populations. But because it did not impose hardships, require trading carbon credits, punish the U.S. or any other nation, or require increased governmental control, the IPCC rejected it. The IPCC uses the hoax of man made global warming to increase its power and that of a corrupt, anti-American United Nations that has proven itself impotent in combating world wide acts of terrorism, genocide in Sudan, the real threat of nuclear proliferation in the mid-east from Iran and Syria, or human rights violations in China and Africa. Our mainstream media uses every opportunity to hype the hoax of man made global warming by repeated reporting of data and events that appear to support it, and ignoring those that contradict it. When the NFC championship game In 2007 between the Packers and the New York Giants was played at Green Bay in record low temperatures and blizzard conditions, there was no mention of global cooling; nor was there any in 2007 when below freezing temperatures threatened the vegetable crops in the south and the citrus crops in Florida. The drought in California is the result of colder than normal conditions in the equatorial Pacific Ocean, and the fact that ocean temperatures along the Pacific coast have been falling for the last three years is never mentioned. But after hurricane Katrina we were fed a host of dire predictions which warned of the increasing severity of storms, the melting of the polar ice caps, and the flooding of coastal areas from rising sea level, if we do not drastically reduce the release of greenhouse gasses to combat global warming. Which greenhouse gasses is not specified. We already have pollution controls in the smokestacks of most power plants, steel mills, and factories that minimize the release of sulfur dioxide. The only completely uncontrolled exhaust gas is carbon dioxide, and photosynthesis automatically controls its atmospheric concentration for us. Three billion years ago when the earth’s atmosphere was an unbreathable brew of noxious gases with almost no oxygen, a small green algae evolved in the ocean which, using the energy from sunlight over a few million years, completely altered the earth’s atmosphere. This oceanic green algae, the first plant to use photosynthesis to convert carbon dioxide and water into high energy fuel, was of course followed by the evolution of an almost limitless number and variety of carbon dioxide consuming plants. Fortunately for mankind and all animals, fish,and birds, all of whom are totally dependent on plants, the oceanic green algae continues to perform its magic in the oceans of the earth today. Every three centuries all the carbon dioxide in the atmosphere and dissolved in the waters of the earth goes through the cycle photosynthesis, decay, photosynthesis, with the cycle constantly renewing the earth’s supply of oxygen. People on the left claim global warming is real, a threat to the continued existence of mankind, and the debate as to its cause is over! Although none of this is true, it nevertheless is what four of my grandchildren were taught in high school. Most politicians on the left have little respect for truth and no regard for clarity, and apparently many high school teachers reflect their views. My oldest granddaughter just graduated from MITwhere she was spared the political rhetoric of the left on global warming. However Caltech’s Argyros Professor and professor of chemistry, in an article titled “Powering the Planet”states “The carbon dioxide we produce over the next 40 years, and its associated effects will last for a timescale comparable to modern human history. This is why, within the next 20 years we either solve this problem or the world will never be the same.” This is nonsense. It ignores the more than 200 billion tons of carbon that is sequestered yearly through photosynthesis from carbon dioxide In the atmosphere. Since this has been known for 40 years, I can only assume he is politically motivated to make such a statement. Hopefully man made global warming will come to be recognized for the hoax It truly is. Dirck T.Hartmann is a retired Aerospace Engineer living in Huntington Beach, CA. Opie – your comment got deleted along with several spams, apologies, my mistake. You are welcome to resubmit. Trees are the answer! Perhaps awareness of this along with a more proactive approach to reforesting while an aggressive decrease in deforesting will help mitigate the misuse or irresponsible production of carbon dioxide. Which is not to say it should be excused or allowed to continue. Those acting in such a manner should be held accountable, especially in light of the scientific advances we have at our disposal. Shirking ones environmental responsibility isn’t acceptable in this day and age, on a global or individual basis. As one who has had years of experience in the industrial production of SO2, I can assure you it does not smell like rotten eggs. That honor belongs to Hydrogen Sulfide. I asked a question right before you shut down the comments in your “Curve Fitting” topic. Is it ok to ask it again here, even tho it’s OT? What’s the general equation for a skewed sine wave? To do my part in that effort, I barbecued hot dogs today ( with a gas grille) and then drank a beer. Tough job but somebody’s got to do it. Mr. Hartmann’s argument is reasonable, but it neglects one thing: How are all of these climate modelers and carbon traders going to pay their kids’ way through college if climate is 99% natural processes and natural cycles? How will politicians overturn the established order if they cannot reasonably blame the established order for destroying the Earth? You can’t get a scientific grant from the big foundations, the NSF, NASA, etc. unless you get with the theme that keeps budgets funded–climate catastrophe caused by humans. Climate catastrophe may be a mass psychosis, but it is a mass psychosis that gives job security to a lot of academics, bureaucrats, and petty functionaries. Excellent article! Great find, Anthony. The basic hypothesis of the AGW crowd is that increases in CO2 will result in runaway global warming. This is bunk; runaway global warming has never happened in Earth’s long history, even when CO2 levels were much higher than today’s. Even recent history shows that when CO2 is abundant, life flourishes. If Co2 is higher, would plant growth expand on it’s own? It’s been a wet year here in Ky and we have all kinds of very thick foliage. Yes, I realize that this is a single area of the entire planet, but it’s really thick this year. Have you noticed how everything is “green” these days? We are reminded relentlessly to be “green” in order to Save The Planet (I hate this term). Doesn’t the Green in green-house gas suggest that we ARE being green? So… we should be green, but we should stop emitting greenhouse gases. LOL. This manmade global warming/cooling/weather/climate change hype is sooooooo stupid. Seriously. You alarmists are just…. luney. Happy birthday America! Let’s pull our collective heads out of the earth, ok? P.S. Can someone please explain how taxation/carbon offsets will invigorate our economy? Thank you. I’m not a biology or botany major, so I can’t answer you — but JunkScience.com always has a few studies on the effects of high concentrations of CO2 on various types of plants, trees, etc. I’m sure you could find some kind of answer to your question. …a respected scientist proposed … seeding the ocean to trigger algae blooms. This practical, inexpensive, highly effective means for sequestering carbon dioxide would benefit the food chain in the oceans and increase fish populations. Now I wonder, why would such a competent and respected organization that gave us the Food for Oil program have a problem with this suggestion? With a little editing this would make a fine text the next time there’s an e-mail campaign to Congress — offer simple, cost-effective solutions to non-serious problems. Hmm….well we won’t be able to keep adding CO2 for much longer…Not with Peak Oil here. Soon the the ecnomies of the world will collapse. And we’ll experience another LIA. Billions will die. As well a promoting increased growth of plants, high CO2 means plants use less water compared to the same amount of growth in low CO2 environs. Thus improved vegetation in areas with limited water supply! I would be interested in seeing a 60-year world plant biomass curve as matched with CO2. Assuming reliable data exists. Is there a correlation? But surely Independence Day is July 2. The world is indeed greening as a result of more CO2. Global vegetation has increased a remarkable 6% in 17 years. Note the article attributes the increase to the vague term ‘climate change’. No evidence is presented that warmer temperatures are in any way involved. So, in other words, this is a politically motivated AGW hit piece written by someone with, presumably, little to no background in the atmospheric sciences. Why should I take his claims seriously, when he doesn’t even acknowledge that it’s not “people on the left” claiming that global warming is a real threat, but scientists who specialize in the field of climatology, physics, and the atmospheric sciences at large? Hit piece? An 87 year old retired engineer writes his opinion and thoughts down in a minor newspaper/website article and you label it a hit piece? It must have really threatened you to elicit such a reaction. The NYT this was not. If AGW can’t stand up to a “hit piece” such as this on it’s own merit, why the need to put down someone speaking their mind on the issue? I’ll also point out that Al Gore does not have any “specialization in the field of climatology, physics, and the atmospheric sciences at large” so by your reasoning, why should we take him seriously either? I think China is (inadvertently) experimenting with algae blooms off their coast. Well, I think both Mr Watts and Mr Hartmann should be prosecuted at once by California, not to mention the Federal Government, for crimes against humanity and for fraud. Now, this may seem an overreaction to what these two have done, the one having simply expressed what may seem to you all like an opinion, and the other for having disseminated it. Worse, Mr Hartmann admits to offering these propositions to young impressionable children (who were so innocent, mark you, that they did not even realize it was their duty to denounce him to the authorities). This is an appalling misconduct which will horrify right minded people everywhere. Why, it will seem to many of us a sort of frightful intellectual child abuse! If not illegal at the moment, it should certainly be made so as soon as possible. Now so far, you will all agree with me that it is fraud. Thank you for your support and understanding on this. But you may not appreciate why uttering these things is a crime against humanity. It is because we are at the tipping point, the future of the planet is at stake, catastrophe faces us if we do not do exactly the opposite of what Mr Hartmann wants, and lower CO2 at once. The catastrophe is indeed so great that almost any cost is justified to get CO2 down. Weak minded liberals at the moment are appalled by the fact that biofuels seem (according to the World Bank) to have driven up the cost of food 75% and so are causing mass starvation. This is a small price to pay for the great goal of avoiding catastrophe for the planet. We will probably have to triple or quadruple the price of food. The poor in the undeveloped world will die in their millions. Hundreds of millions. Maybe billions. You see, the saddest part about it will be their demands to be able to burn coal or oil, which we will have to deny. We will supply them with blueprints on how to build windmills from renewable materials, but I am afraid it will not help them very much, though it will make us feel better. Oh dear, they will probably construct coal burning electricity plants regardless. Well, we will just have to bomb them. But it will all be a sad necessity in order to save the planet from the catastrophic famines which will result if we allow CO2 to continue to rise, and global warming to continue. Do we really want millions, hundreds of millions, perhaps billions to die of global warming produced famines? I thought not. It is this great goal that Mr Watts and Mr Hartmann are undermining by their corrupt and criminal conversations, and that is why we have to prosecute them and jail them as soon as possible. California, Justice, dig out your briefs! Usufruct, my friends, bear usufruct in mind as you write them! The future of the planet and the welfare of Mr Hartmann’s grandchildren, Mr Watt’s grandchildren, all our grandchildren, is at stake! My own nephews and nieces and great nephews and nieces, their future too, come to that. Even the futures of my nieces’ cousins’ grand children, twice removed. The distant descendants of my lovely pet tortoise. One feels faint thinking about it. We must do anything to stop our descendants from starving and being flooded. It is all too appalling for words. Get busy now! Anthony, I think your site is fantastic! Now can I help it remain fantastic by modifying the import of your quote above on Al Gore. I thoroughly gave up AGW three months ago and now I’m promoting it as you and others do: GCR-induced cloud cover, etc – as you can see from our website. I was totally ashamed of Al Gore’s film when I found out there was nothing but misleading half-truths. But still, he wrote a fantastic book “Earth in the Balance” which is/was a set book for the Open University and it is deservedly so. It is anything but stupid – unlike his film. I’ll second that comment about the odor of Sulfur Dioxide… it smells like burnt matches, not rotten eggs. If you’re getting the rotten egg smell out the stack, you’ve got some very serious combustion efficiency problems! Has there really been a dramatic increase in atmospheric CO2? I see a figure of 280ppm as a pre industrial figure in the mainstream media, but searching the internet I find this may not be the case. Infact some sites suggest there hasn’t been much change in the past few hundred years. Therefore, Hartmann is claiming that AGW theory is a leftist hoax, that the proponents of AGW are deliberating peddling a falsehood; in other words, that thousands of climate scientists around the world are cheating in order to produce a pre-determined outcome and then blatantly lying about what they’re doing. This is a long way from discussing the merits of AGW, unless AGW is regarded as a politically motivated conspiracy. Unfortunately, the ‘hoax’ claim is a repeating motif among some AGW sceptics, and threatens to place them in the same category as the likes of creationists. But as with hoax claims about evolution, the AGW hoax claim is incoherent. On the one hand, such a hoax requires utter secrecy and flawless execution; on the other, it requires whistle-blowers and incompetence. The hoax must be both invisible and in plain sight; it must be open to exposure by clear-sighted and fearless individuals, but must never lose its status as a hoax. These factors point to the utility of the hoax claim. One might ask why human beings have a tendency to regard generally accepted, defining issues such as evolution and global warming as hoaxes, rather than, say, cognitive errors. I’m no expert, but the primary factors in producing hoax claims seem to be a minority view that regards the theory as a gateway to the destruction of life as we know it. In other words, an alarmism that mirrors the alarmism of some of the proponents of global warming. So alarmists of both schools are probably not so far apart, although I doubt they’ll be getting along together any time soon. Have you heard about Lysenko and the thousands of biologists etc following his dicta in the USSR? If not, google it. It in very instructive in that when science becomes a political tool thousands of scientists may parrot the dogma to keep their posts. And also the destruction that happened to USSR agriculture by following his theories. When a political body, as the UN, the EU etc come out behind a theory with rhetoric forbidding questionings and stating “the science is settled” the smell of Lysenkoism is in the air, and yes “, AGW is regarded as a politically motivated” if not conspiracy, plan. A worldview is being imposed politically on false science. Michael Crichton has documented the history of these psuedo-science driven politically motivated frauds. And see my link above for the garbage peddled by climate scientists. Read the article. It doesn’t matter if it’s fraud, because it’s complete junk. Evasion and obsfurcation to avoid the blindingly obvious; increased CO2 causes increased plant growth. But the dogma is that no good results from increased CO2 therefore any and all potentially beneficial consequences must be evaded and obsfurcated away. As I said, most climate science is junk. Trash peddled to the ignorant. As one who would probably be considered a “person on the left”, I can say that not all on the left believe human-caused carbon dioxide emissions are the problem some say they are. Leaning towards political comment instead of science and data not only dilutes the discussion, but decreases the credibility of the writer. The comments of the last paragraph do a disservice to the rest of his observations. Some of his statements also need more facts, as I have been unable to find any credible studies saying we can burn coal at our currently increasing rate and have it last 1000 years. More constructive scientific discussion and less knee-jerk politics all around would be a good thing, IMHO. I am concerned that our problem is not global warming (though human impact on the environment needs to be carefully assessed, discussed, and understood for our own good). I believe the eventual cost rise that will occur for our current fuel sources, combined with our ever increasing world population and the economic ascent of large countries, will pose far greater problems in the next 50 years. We will need a lot of good science, both meteorological and social, and a lot of clear-headed, open-minded discussion to mitigate those problems. I hope this blog and its commenters will lean in that direction and be an educational means to constructive change rather than a political rant space – there are quite enough of those already. If we all acted with real care and true love for the planet, ‘walking the walk’ as opposed to ‘talking the talk’, I believe it would be in a better state than it is. After that, if you feel like something on a lighter note, something to cheer you up, check out my blog http://www.gerrardtwilson.wordpress.com. Thanks. The use of the word “hoax” to describe AGW is not accurate, simply because there is no one word that accurately describes it. It was an obscure hypothesis from the 1880’s up until 1979 when Thatcher, who had a BSc degree in chemistry latched on to it for political reasons, and who then promoted the issue internationally. Thatcher’s UK party also supported AGW as it provided a perfect excuse to downgrade coal (and thus the political power of the National Union of Mineworkers, who opposed them) and push nuclear power instead. Nuclear powers’ public image had been damaged considerably by the Chernobyl and Three Mile Island incidents. Then, the Hadley Centre for Climate Prediction and Research was established, and the rest, as they say is history. The bandwagon was started. Environmentalists, the Media, Politicians, and yes, even scientists jumped on the bandwagon, for either political or monetary reasons. The idea of “saving the planet” has a mass appeal, particularly to people who are of a religious bent, but who have eschewed religious institutions. It is thus a sort of mass neurosis, fulfilling a need to believe in something, regardless of whether or not it is true, which is why true AGW believers hang on to their belief so fiercely. Glad you didn’t put your entire ‘blog into “time out.” Did you see this (dunno if you get Benny Peiser’s newsletter…)? The article describes a serious AGW scientist who essentially corroborates Bjorn Lomborg’s point, that putting money into abating CO2 output would prove fruitless and expensive at this point in time. “…Dr. Nordhaus notes that a single technological advance in 2050, or in 2100, could render redundant trillions of prematurely invested dollars. This is one of the reasons why the most aggressive climate change strategies – the celebrated Stern Review proposals, the controversial dictums espoused by Al Gore – badly flunk the Nordhaus computer analysis test. After burning quite brilliantly for during the late 20th C, the sun is evidently crashing hard. A hard crash typically means a longer lull. So in a heliogenic global cooing (whoever coined that in another thread deserves a prize) “worst case” with CO2 having negligible effect, we’re in trouble. In a HGC “best case” CO2 has a mid-case AGW effect that’ll offset serious HGC & keep thing comfortable until we have fusion-powered climate machinery. Heh. As my friend has said, upon hearing another man made lake was built near Austin, if we can terraform Texas, by God we ought to be able to terraform Mars! Just to add my 2cent worth, here in Ireland plants are much greener and lusher than ever, a comment you hear quite a bit of around here. Considering it is nearly always green here then it’s saying something We could do with some warming here, at the moment it is 15 degrees centigrade on the South coast (13 centigrade in Donegal) and it is July!! Incidentally, following on from earlier posts on hurricanes, this year has started in an unprecedented manner, tropical storm Bertha http://www.wunderground.com/tropical/tracking/at200802_sat.html#a_topadis unique, it is the only tropical storm to start east of 32 degrees in the first half of July, not even a tropical depression has formed this far east. http://www.wunderground.com/hurricane/at200802.asp#a_topad. SST’s mean it should weaken but so far it has been holding its form and when it hits warmer waters later next week could pose early problems. You are describing a conspiracy, not a hoax. Just because a lot of people beleive something, doesn’t mean it isn’t a hoax. fred- I thought I had fallen into Dot Earth world for a moment there! You captured the strident tone quite well. If it is an empirically poor hypothesis, with a lot of devout adherents propping it up with billions of dollars and the force of government, that’s not too different from an organized hoax. Individuals who believe in GW do so from the bottoms of their hearts. GW, like many other things in history, unfortunately happens to be wrong. The story of science (real, experimental, hypothesis-testing science) is the story of the relentless confrontation of things which are universally believed with evidence. Example: the spontaneous generation of life. Everyone once knew that life spontaneously generated, and that is why food got moldy and spoiled. It took Pasteur years to prove this was false. Example: phlogiston (the Aristotelian element of fire). Everyone knew that fire was one of the four elements. It took centuries (and a careful experiment boring a hole in a cannon) to prove that phlogiston has no weight. Example: color vision as the result of three distinct types of cone receptors in our retinas. The authoritative explanation was in my college Physics book. This was refuted by Land, who was not trying to disprove anything, but make a camera which produced immediate color prints. I could go on for days. The unfortunate fact for GW is that anthropogenic GW cannot be documented. Once someone explains to me how our variable Sun goes through cycles of sunspots and no sunspots, I will have some evidence to build upon. Until then, climate change depends on old Sol. 1. That increased CO2 will lead to increased agricultural output. It is true that SOME plants grow better in an atmosphere with higher CO2 concentrations. It not true that ALL plants grow better in such an environment. Right now, we don’t know a great deal about this issue. Will higher CO2 concentrations cause crops to grow faster or will they cause the weeds to grow faster than the crops? In the latter case, higher CO2 concentrations would reduce agricultural yields. Then there are the undoubted dessicating effects of higher CO2 concentrations. If you make the atmosphere warmer, water evaporates from plants and the soil at a higher rate. This will decrease agricultural yields. There are many other factors at work here, some positive, some negative, and we have no idea what the overall balance will be. But this author blithely asserts that crop yields will increase. This demonstrates gross ignorance on his part. 2. The whole “water vapor is a more important greenhouse gas” argument is truly pathetic. Yes, water vapor is a more important greenhouse gas — but we’re worried about the differential in the greenhouse effect. Carbohydrates are a much bigger component of a healthy diet than potassium — but if don’t get any potassium, you die. 3. He retails the false claim that earth’s temperature is rising because the solar output is rising. Any second-year physics student can show with a simple calculation how absurd his claim is. Indeed, that material is standard in physics courses taken by engineering students. This fellow appears to have forgotten what he learned in college. 4. He also endorses the algal bloom proposal, apparently without any idea of the difficulties this proposal raises. I have not yet rendered judgement on the idea — it has some merits, and if the negative consequences can be handled, we might want to proceed. But endorsing this idea at this time can only be based on ignorance of its ramifications. 5. He makes the standard “weather is not climate” mistake. No surprise here. Will anti-AGW people NEVER learn? 6. Here’s irony for you: Since this has been known for 40 years, I can only assume he is politically motivated to make such a statement. Lastly, I’d like to comment on anna v’s comment regarding Lysenkoism. Yes, the Lysenko episode is a powerful demonstration of just how much damage can be done when people permit their political preferences to intrude into the science. Everybody would have been much better off if Stalin had just trust the scientists as a group to figure things out, and trusted their consensus. And that lesson applies here, too. My impression is that the great majority of anti-AGW people don’t really give a damn about the science; that they have allowed their political preferences to intrude into the scientific realm. That is surely the case with the author of this piece, and seems to be the case with some of the commentators here. Like Stalin, they start with their political preferences and then pick and choose their science in order to support their political preferences. This is a sin against intellectual integrity. There are a few anti-AGW people who strike as genuine skeptics in the noble tradition of scientific contrarianism; Steve McIntyre strikes me as one such person. However, my impression is that the great majority of anti-AGW people are political conservatives who have instead followed the dishonorable tradition of subordinating truth to political preference. Shame on such people! I hasten to add that there are plenty of political liberals who are driven by political rather than scientific considerations. These people deserve just as much contempt as their conservative opposites, even though they happen (purely by accident) to have the weight of evidence in their favor. Politics should NEVER drive science! Without intellectual integrity, humankind is doomed. Evan Jones, biomass is difficult to calculate since it’s not directly measurable in many places (deep Amazon, mid-ocean basin) and highly variable from place to place, sometimes in the space of just a few meters (think seaweeds on a narrow rocky coastline compared to open water phytoplankton). The estimates probably have such large margins of error that no reliable correlation is possible. As an exercise, though, you might hunt down a bunch of general ecology books published over the last few decades just to see what you get. Try to find the original sources they cite, too. There’s a difference between a hoax and a deeply felt conviction that the world would be a better place if we were all united beyond simple greed and competition. I think it was Al Gore who said, words to the effect, “even if it’s not true, it should still be done for other reasons.” Of course, “greed” is a simplistic analysis of the world, so the effort is not a good idea for reorganizing the planet’s development. Thank you for a balanced presentation of factual information in an objectively framed arguement. It’s appreciated. like Gore and most other AGW types you cite no science and assumed facts, and you blather at length with this lack. Thanks for demonstrating yet again the LACK of underpinnings for alarmism. A list of those scientists would be enlightening – only the ones with climate related qualifications please. A hoax does not require the collusion of all of its proponents. Just like Gore, *most* of these people are “merely” feeding their families. There is no organised plot to extort monies via funding or to spread fear by lies )except at a governmental level where they know exactly what is happening) the deck has fallen in such a way as to facilitate it is all. Some hoaxes, however, do have collusion as a necessary component, such as the criminals (the highest of crimes, against humanity) who “made” hemp illegal so as to gain from nylon and newspapers. We have had the lungs of the world ripped out to gain the privilege of reading propaganda, downright lies and advertising for more of the same on paper made from trees, yet the people who brought you the first mass circulation “newspapers” fought, successfully, to destroy a plant that produces vastly superior paper far more cheaply and easily than killing trees ever could and at 4x the amount per acre(over 20 years) using zero dioxins and it can be recycled 2.5x more. This plant produces more biomass per acre than any other almost anywhere on the planet with low maintenance and no fertilizers, herbicides, insecticides or fungicides. Its seeds have an oil content of 34% (more than any other seed) and, after that oil is extracted, to make fuel(at a mind boggling 95% ratio) or foodstuffs, the remaining cake is only (slightly) beaten by the perilous soya bean in protein content. It provides the world’s strongest natural fiber that, when made into fabric, lasts the longest of all the soft fibers, is warmer than cotton, more absorbent and produces 3x as much per acre. It is massively efficient as a rotated crop, with corn and legumes for instance. It has a 3 to 4 month growing season even at altitude or in high latitudes. When dried in the field it returns over 50% of the nutrients it took from the soil during growth and this, coupled with the deep nutrients it draws upon with its root system and then sheds in its leaves, makes it easier on the soil and of more benefit to subsequent crops than any other. Little wonder that it used to be against the law NOT to cultivate it. What else is this plant capable of that strikes so much fear into the hearts of the chemical company owners that they continue to suppress it and any investigation into it. Oh yeah, for those of you who believe we should limit our production of plant food(CO2), this marvel of nature can sequester over 20 tons of carbon dioxide per hectare per crop and if its mass, after extracting the good stuff, is then made into its own, extremely viable, version of concrete (in fact, excluding glass and metal, every component of modern housing from damp course via flooring and insulation to roof shingles) you have the perfect double whammy – carbon sequestering par excellence and carbon reduction through concrete reduction. But, currently, that is the last thing that is going to happen because of point one above. Do not get me started on “peak oil” (can you hear me laughing?) or “there are too many people” as these should be our very next targets after we prove that we are being lied to on a colossal scale about CO2, the stuff of life itself. It is all about education (most people cannot even winnow the wheat from the chaff in the “results” from a search engine) and instinct (most people can no longer reach a place within themselves where they may discern truth from lies just by relaxing and thinking). All around is misinformation, obfuscation and outright deception. Education and trusting your instincts are the antidotes. Since you directly responded to my comment, I’ll reply to yours, Mr. Watts. Your first paragraph contains my pre-eminent grievance with this article. It was written by a retired aerospace engineer, not by someone who has even a modicum of history working within the atmospheric sciences. As such, the question is begged, why are you posting this piece? Presumably, it’s because this is an “expert” who disagrees with the AGW premise. But what is this man’s opinion really worth? I’m drafting a response to some of his claims, but seeing as I’m spending time with friends this weekend, it likely won’t be posted for a few days. I guarantee you, however, that the embrace of this article within skeptics’ circles will garner a response from other sources; will you post that rebuttal to this article? This article “gets my goat,” so to speak, because of the warm reception it has among skeptics. Anyone – skeptics included – should be able to look at this article and vivisect its examples for conflating short term/long term phenomena, omitting details about concentrations, and all manner of other things. However, they refuse to do so, because it “looks good” for them if a so-called “expert” agrees with them. Furthermore, it pushes this contrived notion that AGW is some sort of leftist, anti-American propaganda, which is patently false. You point out that Gore is not an expert on climate science. Guess what? I agree with you. Here’s the difference between Gore and Hartmann, though: Gore’s arguments are supported my mainstream science. If I open a scientific journal – say, BAMS – and I find an article about climate change science, will Hartmann’s hypothesis or Gore’s hypothesis be supported? Look, you’re an influential person, Mr. Watts. I greatly respect the work you do with surface stations; you should be given a grant by the government to go out and audit all of these field stations so that we can manually adjust for the biases present at them. However, you often use your soapbox to disseminate not sound skeptical science, but anti-AGW propaganda, which is precisely what this article is. It boggles my mind why you choose to cater to the rabid skeptics of the blogosphere who refuse to believe, under any circumstances, that the AGW hypothesis might have some validity, when you could be an important player in the scientific community by espousing a strong skeptical opinion which doesn’t rely on one-time hit pieces by retired engineers with no experience in climatology to bolster its case. REPLY: Sorry you feel that way, sure I’ll post rebuttals, with one condition, read on. It truly amazes me how threatened some folks are getting over an opinion by a retired engineer. I did another one a few months ago, and it it worth reviewing also, because it is more in depth. Bob Edelman, also an aerospace engineer, picks apart the really bad science in Al Gore’s call to action movie. Regarding surface stations, you might want to look at what Jim Hansen, Gavin Schmidt and some of the anonymous coward bloggers like Rabbet and Tamino had to say about the surface stations project when it was in it’s infancy. They drew conclusions before it even got 10% of the network surveyed, then published those conclusions in the form of opinion, without even looking at the data. Hansen, when confronted with the data processing error discovered as a result of the Detroit Lakes station survey that made 1934 the warmest year in the USA instead of 1998 wrote and opinion piece calling Steve McIntyre and I “court jesters”. He’s now adjusted the data again to put 1998 back on top. Now THAT’S propaganda. When the most influential scientist in the debate does this like that, are you certain that the people discussing the issues here are the ones that are “rabid”, as you put it? In your rebuttal, no use of such labels. That’s the condition. In case you haven’t noticed, when science starts excluding other possibilities without looking at the data, basing conclusions only on opinion, that’s no longer science then. It might interest you to know that I was once a very fervent believer in AGW, Jim Hansen’s 1988 testimony moved me to create a nationwide project in cooperation with the National Arbor day Foundation with TV meteorologists nationwide in 1990 and 1991 to plant hundreds of thousands of trees. What changed is that I began seeing places where the AGW theory didn’t hold up, and in 1998 when a strong El Nino morphed into “man made global warming” in the science and media, I realized that AGW was no longer much about science, but mostly about alarmism. UPDATE to my reply: see the latest alarmism trotted out on the main page, with no regard to the actual data. Please note that Brendon’s argument against Mr Hartmann’s stance is a logical one, and does not challenge the facts presented. Obviously this 87 year old has a sharp mind, and a knack at writing. Nice to have you home sir. Science fact counts Mr Brendon, and your logic proves that once again, the weight of an elephant is equal to a mouse if you divide by zero. An aeronautical engineer probably has more atmospheric science in their background that most other vocations. Mr. Hartmann has done his research and done it well. 1. Your first point is that “WE” don’t know what higher concentrations of CO2 will do to plants. Please don’t say “WE”, it is you who don’t know. There are many studies that have addressed this issue on a single site experimental level and globally as plant growht is being tracked (6%+ growth over the past 17 years). All these studies have been overwhelmingly positive to plant growth, and negatives mentioned in the studies use tortured logic try to find a negative like your point about weeds also growing faster to try to accomodate the anti-C02 crowd who will use any positive article to kill an budding scientist’s career. 2. I accept your statement about looking for the differential. Once again, you make a correct statement, but let’s take your statement to the logically conclusion – is their a growing differential in water vapor, sun energy output, local warming, > why should C02 be the only differential that we care about. I agree we should track the differential in C02, figure out it’s contribution to warming, look for correlation in the temp data vs. C02 concentrations etc. Please agree with me that we should do the same for all other contributors to Global warming. 3. The sun’s energy has been rising and will continue to rise until the oceans boil away in ~1 billion years. In fact, the sun’s energy is ~25% higher now than when green algea made it’s first entrance. I disagree with your statement. 4. Plant growth, algea blooms are what caused the earth to cool in the first place, it is entirely plausable that plant growth is a negative feedback mechanism to keep C02 under control and temperatures with in an average 15C band. We see global temps over the pass 1 million years 10C colder and 4.5 C higher than today. 5. Climate is not weather I agree. Be a bit easy on this one, because Global warming advocates are far worse in this regard. For example, hurricanes (New Orleans), every single heat wave (Chicago), glacial retreat (Greenland), … they do this HUNDREDS UPON HUNDREDS of times. 6. I agree Politics should never drive Science. I dearly wish this was true. Unfortunately, so many scientists are terrified that if they present any paper that would be less than supportive of the crisis mongering global warming mob they will be banned, get fewer grants, and possibly loss their positions. Already, many skeptics have lost their jobs. I believe that global warming has occured since the last ice age, that sea levels have risen 400 ft already, that glacial retreat has gone on already by hundreds of miles, that C02 levels have risen due to human burning of fossil fuels, that C02 is a global warming gas … however, I believe that 99% of that is a GOOD thing for life, plants, etc. and that 99.9% of that had nothing to do with humans. I also believe another 1 to 4C won’t be that big of deal either and that C02 level are historically at their extreme low levels when averaged over millions of years. Humans are bringing balance back to the Earth. Yes AGW is a political Hoax by leftists. The good doctor, Dr. Ferenc Miskolczi, muzzled by Dr Hansen’s NASA, has now had his shocking revolutionary paper on atmospheric physics published in a obscure peer-reviewed journal, only to have it immediately become the most discussed paper in climatology and physics, in many years. Even as he looks like, and speaks like Einstein, his paper is certainly as revolutionary in its way, as Relativity and E=mc**2. Miskolczi is an experimental physicist, who has taken a lifetime as experimentalist, working with satellite data and balloon data, has revealed why the present theories are so inadequate. Did you know that present models can’t compute the temperature of the Earth surface within 25 degrees Centigrade?!? Even as they argue about changes in hundredths of a single degree for global warming! His new theoretical model actually presents a realistic model of a planetary atmosphere. His theory computes data that agrees with the measured Surface temperature; computes a realistic amount, compared to experimental measurements, of the radiation back to Space; the effect on intermediate altitudes; even resolving the puzzling fall in relative humidity at higher altitudes, contrary to present theory; and resolves why the predicted tropic warming atmosphere profile is not occurring. Miskolczi’s new model don’t predict that missing heat or atmospheric profile at all. Most of all all by actually connecting the air to Earth’s land and the essentially infinite oceans, the atmosphere has as much GHGs (ie H20), as it would ever need. Yet is doesn’t take it up and runaway. What kind of lamebrain idiot thinks that the atmosphere doesn’t actually touch the Earth’s surface? Milne’s model was for a star, or glowing gas/plasma with no surface; yet somebody adopted it as an model for Earth, and they used it for 80 years !?!?! Milne was an astrophysicist and not a mathematician, He did not solve the differential equations correctly and nobody noticed for 80 years ?! Miskolczi has demonstrated in his revolutionary theory, that is already Confirmed by experiment, that the atmosphere is ALREADY saturated with GHGs. It can’t take any more; and will simply drive some particular GHG out as more of another like CO2 is added. If CH4 falls as it is now doing, to maintain saturation, the atmosphere under conservation of energy laws, will take up some H2O to replace it. Therefore runaway GHG based global warming is IMPOSSIBILE. As for the Evidence of hoax, he shows that KT atmospheric radiation diagrams, so quoted in the AR4, are HOAXES. 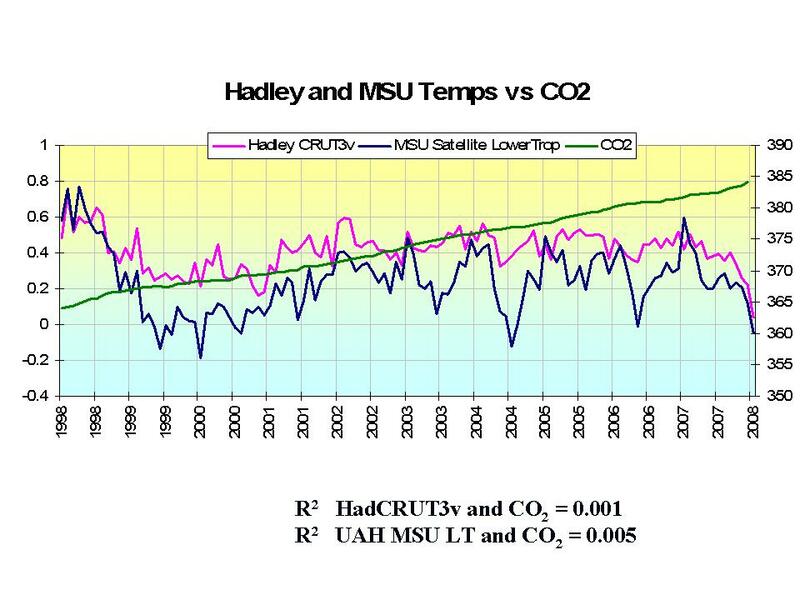 As bad as the hoaxes produced by Mann’s “hockey stick” in AR3. 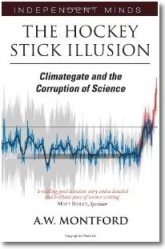 That “hockey stick” has now disappeared in to an IPCC official memory hole, as if it never existed. The likely destination for the KT diagrams. The Earth has warmed, cooled, warmed, now is cooling. The only way it can, due to increased solar flux, vulcanism, or albedo, eg changes in land use, like agriculture or city’s albedo versus countryside. AGW proponents with loud voices, loads of media exposure and ZERO climate related qualifications. Anyone from desmogblog – and probably tamino and rabett, but who knows? “Some of this noise won’t stop until some of these scientists are dead” …..??? and the world is a poorer place today. Will higher CO2 concentrations cause crops to grow faster or will they cause the weeds to grow faster than the crops? In the latter case, higher CO2 concentrations would reduce agricultural yields. Then there are the undoubted dessicating effects of higher CO2 concentrations. If you make the atmosphere warmer, water evaporates from plants and the soil at a higher rate. This will decrease agricultural yields. There are many other factors at work here, some positive, some negative, and we have no idea what the overall balance will be. But this author blithely asserts that crop yields will increase. This demonstrates gross ignorance on his part. Dude, the one demonstrating gross ignorance here is NOT the author of the article. Stick with something you know something about. a. scientists distort the science so that they can become personally wealthy. They seldom provide any details; in the case of Mr. Hansen, they misleadingly cite the Heinz Prize and the legal support provided by Mr. Soros. Examination of this accusation, as I pointed out in an earlier message, demonstrates this claim to be false. And this is the ONLY claim of direct financial incentive I have seen. There are thousands of scientists out there working on climatology; are they ALL being paid off? b. scientists distort the science so that they can obtain funding, and funding is politically controlled by a group of political zealots who will only fund research that supports their political views. This is absurd on two counts. First, it assumes, with no evidence whatsoever, that all the research funding is controlled by political zealots. The notion that research funding coming the US government would be politically biased in a leftward direction is preposterous. I remind you that the US government has been run for the last 7.5 years by a conservative President who has been very active in inserting conservative political operatives in all levels of government; to suggest that this Administration would somehow overlook such an important sector of government funding is nonsense. But even if there was a cabal of sinistral scientists controlling the research budgets and who had somehow escaped the notice of the Bush Administration, there remains the problem of foreign research. Have the Russian research agencies similarly been infiltrated and taken over by the AGW Illuminati? The British, French, German, and Chinese research agencies? If you think so, perhaps you should be checking for commies under your bed. This is all so preposterous, and yet the self-declared skeptics on this blog seem to have never applied their skepticism to this line of thinking. But it gets worse. Let’s suppose that all the research budgeting agencies in all the countries of the world have somehow been assimilated by the Borg-AGW conspiracy. Let’s assume that they are secretly manipulating the research grants to insure that only AGW-friendly research gets done. We now ask, how would scientists respond to that bias? Sure, there are plenty of mediocre scientists who would yield to that kind of pressure and distort their research to accommodate the Secret Conspiracy of AGW Priests. However, there’s one other consideration: what about the really talented scientists? You think they couldn’t get funding from any number of industrial concerns that oppose the AGW hypothesis for legitimate reasons of profit? We know that a number of such companies are already funding a certain amount of anti-AGW activity. If there’s a scientist out there with a way to prove AGW wrong, they’ll have no problem getting funding from such sources. Thus, the claim that scientists are in some way biased in favor of AGW and are distorting their research — that claim is based on utter ignorance of the way that science really works. Lastly, I’d like to address the Michael Crichton quote offered by swampie. Mr. Crichton fails to understand the difference between scientific conclusions and the use of science in public policy determinations. Yes, in science we NEVER take anything for granted. The debate is NEVER over. With the right data, I’d be willing to toss the Copernican model of the solar system and accept that the sun circles the earth. But if you want to make a policy decision, then you can’t afford the luxury of this kind of skepticism. You have make a conscious decision to either do something or not do something. And that decision has be made on the basis of the best available evidence. I’m happy to agree that AGW is “just a theory, not a fact” — because there are no facts in science, just hypotheses and observations. But public policymaking cannot afford to wait for proven facts. We have no proof that Islamic terrorists are planning further attacks on the USA, but we are spending billions of dollars in the belief that they are. Our economic policies are not based on proof — they rely on the guesswork of economists. We have no proof whatever that Iran is working on nuclear weapons, but that doesn’t mean that we ignore the possibility. Yet Mr. Crichton would have us ignore the considered judgements of thousands of scientists because they haven’t produced proof — an impossible standard for science. It is true that SOME plants grow better in an atmosphere with higher CO2 concentrations. It not true that ALL plants grow better in such an environment. Right now, we don’t know a great deal about this issue. Apparently I need to use something stronger than all caps to make my point clear to some people. The studies that Mr. Macdonald cites could not possibly contradict my statement, because they could not possibly have measured all plants. Sunlight is essential to plants, but some plants do poorly in sunny environments. Water is essential to plants, but some plants do poorly in wet environments. CO2 is essential to plants, but that does not permit us to conclude that all plants will do better with more CO2. Mr. Macdonald next asks if there isn’t a differential response to water vapor, sun energy output, local warming. Indeed there is. That’s why different crops are grown in different environments. But with CO2 increases, you don’t get to specialize by region: every farm in the world is affected by CO2 in the same way. The sun’s energy has been rising and will continue to rise until the oceans boil away in ~1 billion years. In fact, the sun’s energy is ~25% higher now than when green algea made it’s first entrance. I disagree with your statement. Note that Mr. Macdonald is talking about changes on the time scale of billions of years. That time scale is not quite appropriate to our deliberations on AGW. We need to think about changes in solar output over a time scale of perhaps a hundred years. Mr. Macdonald’s comment does not apply to that time scale. Next Mr. Macdonald cites photosynthetic activity as a negative feedback to CO2 increases. He’s absolutely right here. The question is, what is the magnitude of this effect? The simplest observation here is that CO2 concentrations have risen in the last 200 years from about 280 ppm to about 380 ppm. So while photosynthetic activity may provide a negative feedback, it is surely insufficient to counter past emissions of CO2 — much less future emissions. Mr. Macdonald points out that AGW advocates also confuse climate with weather. I agree entirely. I therefore suggest that serious discussions of AGW should not include ANY confusion of climate with weather. Unfortunately, so many scientists are terrified that if they present any paper that would be less than supportive of the crisis mongering global warming mob they will be banned, get fewer grants, and possibly loss their positions. Already, many skeptics have lost their jobs. I believe this claim is poppycock and I challenge you to provide evidence to support it. I believe that 99% of that is a GOOD thing for life, plants, etc. and that 99.9% of that had nothing to do with humans. I also believe another 1 to 4C won’t be that big of deal either and that C02 level are historically at their extreme low levels when averaged over millions of years. Humans are bringing balance back to the Earth. Note the contradiction between the claim that humans are bringing balance back to the earth and the claim that 99.9% of the change had nothing to do with humans. More importantly, Mr. Mcdonald’s belief that a change in temperature of 1ºC to 4ºC won’t be that big of a deal. 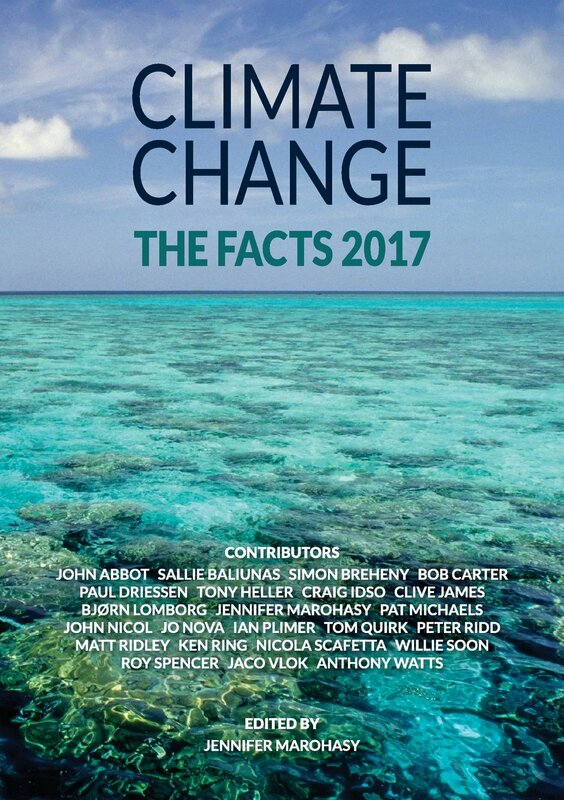 I suggest that Mr. Macdonald consult the NAS summary of climate change science at http://dels.nas.edu/basc/Climate-LOW.pdf Pages 14, 15, and 16 present the relevant considerations. While the language is guarded, the material in that brochure refutes the claim that this will be “no big deal”. I shall mercifully pass over stas peterson’s post without comment. Gravy Train Crash offers us a highly distorted list of selected scientists that is misleading in a number of ways. First, he is selective about what he presents: for the few scientists he doesn’t like, he lists only their degrees — not the chairs they occupy or the number of papers they have published or their awards, whereas he regales us with the full list of achievements of those he prefers. But the most important error in Gravy Train Crash’s post is that it is limited to a handful of scientists. In evaluating scientific issues, it’s completely useless to trust the judgement of any individual. Far better to place your faith in organizations of many scientists. The best of these, as I have mentioned elsewhere, is the NAS, and that organization has come down firmly on the pro-AGW side. Ophiuchus gives six completely baseless opinions above, which were pulled out of somewhere — but certainly not out of his intellect. Without any citations whatever, he speculates that more CO2 may/will cause weeds to grow, but not crops, thereby causing reduced agricultural yields. But see here. Every other claim made by Ophiuchus is similarly misguided. It is probably a sad commentary on the current state of education that someone such as Ophiuchus is so lacking in critical thinking. Or, maybe he’s just another religious True Believer in the AGW disaster hypothesis, with his mind already made up and shut tight. In that case the links/citations provided are for more neutral readers interested in deciding the science of the effect of CO2, to their own satisfaction. There is no convincing scientific evidence that human release of carbon dioxide, methane, or other greenhouse gases is causing, or will, in the foreseeable future, cause catastrophic heating of the Earth’s atmosphere or disruption of the Earth’s climate. Moreover, there is substantial scientific evidence that increases in atmospheric carbon dioxide produce many beneficial effects upon the natural plant and animal environments of the Earth. That is a very powerful statement. Furthermore, it was co-signed by an order of magnitude more physical scientists that those who are completely dependent upon the UN/IPCC for their continued employment. CO2 is essential to plants, but that does not permit us to conclude that all plants will do better with more CO2. You are seriously out of your depth. Show me one study, any study, that indicates any plant doing poorly at levels of CO2 of, say, 1000PPM due to excess CO2. Why are so many AGWers trumpeting Hansen and his call for 350ppm then? Hmm….well we won’t be able to keep adding CO2 for much longer…Not with Peak Oil here. Soon the the ecnomies of the world will collapse. And we’ll experience another LIA. Not unlikely. But do not forget that the worst phase LIA saw the rise of industrialization. But not for MUCH longer than the life insurance salesmen would have you believe. Yes, there have already been casualties of recent misguided policies. (Biofuels spring to mind. But the casualties will be in the millions, not the billions. For your statement to be true in the manner in which you intend, one would have to discount exploding technology and its accompanying adaptability. Don’t do that; it is a very common, very severe intellectual error. I strongly agree. We forget or fail to recognize this at our considerable peril. We need to win the dang argument, not set up pillories and pass around the rotten tomatoes and dead cats. The latter course is satisfying in a shallow sort of way, but it gets us nowhere. I believe this claim [many scientists are terrified that if they present any paper that would be less than supportive of the crisis mongering …] is poppycock and I challenge you to provide evidence to support it. Is it? It IS difficult o substantiate but hardly can be dismissed as “poppycock.” You are essentially asking for something that by nature would be difficult to obtain even if true. YOU: This is bull! Name a person running an illegal lab who is afraid to file. You really don’t see the fallacy in that? You come across as very bright, Ophie, but some of your responses indicate you lack common sense. Note that the scientists who are most active anti-AGW scientists are those with established careers. What do you think the effect of Hansen’s “try them all for crimes against humanity” has on anyone under Hansen? Do you somehow believe they wouldn’t be putting their careers on the line? What do you think it has on those under the direction of others who agree with Hansen? How many journals would even consider running an anti-AGW paper? How many would, even today, refuse to run the seminal M&M analysis of the Hockey Stick which, whether you like it or not, was blessed by an NAS panel? What affect do you think that has on up and coming climatologists particularly ones unfortunate enough to work under a member of the Hockey Team? Mr. Hartmann was making a very good point – CO2 is an aerial fertilizer that plants need to grow, and the higher the CO2 concentration, the better. A recent report said that world biomass grew 6% in 17 years. CO2 grew a comparable percentage in that time. In effect, we have a virtually cost-free carbon sequestration operation going full-tilt. He mentioned the destructiveness of China’s use of coal electrical plants without pollution controls. That’s producing that “brown cloud” that Hansen said in 2003 or so that was 90% of the cause for Arctic warming. At the rate the Chinese are expanding their coal use, that brown cloud will double in the concentration and expanse of particulates and sulfuric pollutants in about 12 years. If Hansen is right, there goes the Arctic (and Chinese health), thanks to China, not the U.S.
1. Catastrophic sea level rise from Greenland and Antarctica ice melt? NASA just reported that both combined are maybe contributing about 1 mm/year to seal level rise. At that rate, 4 inches rise by 2100. 2. Global warming? Temps have leveled off since 1998, which means current temps are lower than 1934. And reputable world scientists are saying warming is on hold for another decade. 3. Global warming to show up in the seas? Argus buoys say the ocean temps have leveled off, or are even out-right cooling. These are just three of the AGW catastrophe-projection biggies, and they aren’t panning out too well. But your entry: “Everybody would have been much better off if Stalin had just trust(ed) the scientists as a group to figure things out, and trusted their consensus.” is a joke. You really don’t understand Stalinism in particular, or leftism in general, do you? Whereas today’s scientists dread being cut off from PC funding (and their jobs) for questioning the AGW “consensus”, Stalin-era scientists dreaded being cut off from their heads for questioning Stalin’s imposed “consensus”. But they ignore the fact that historically, after achieving a baseline level of economic development, Western people really do want the environment they are living in to have higher quality. And people have acted and will act spontaneously to achieve that improved environment. The U.S. is a prime example. Be honest – of the people you know personally or who you support that subscribe to the AGW/catastrophe theory, what percentage are solid liberals? And any solid conservatives in that group? I doubt it. What Marxism was inable to control and dominate, environmentalism is striving to accomplish. I had an uncle who was as right-wing as you can imagine who INSISTED that his vegetable garden be organic, that we limit our use of resources to preserve them for the future, and he lived his life accordingly. He wasn’t an environmentalist – he was a conservationist. I learned a lot from him – maybe in some small part that’s why I’m an environmental engineer. Paul Ehrlich beat him to it with his false (and dastardly) appeal to Pascal in the Population Bomb ( 1968 ). Pingback: Marginalized Action Dinosaur » Are you starving the world by producing too little CO2? Without any citations whatever, he speculates that more CO2 may/will cause weeds to grow, but not crops, thereby causing reduced agricultural yields. Right now, we don’t know a great deal about this issue. Will higher CO2 concentrations cause crops to grow faster or will they cause the weeds to grow faster than the crops? In the latter case, higher CO2 concentrations would reduce agricultural yields. Note that I most assuredly did NOT speculate that weeds would grow faster than crops. I raised the question and said that we do not know. I am not asserting that weeds will grow faster than crops, I am asserting that we do not know that increased CO2 values will have a beneficial effect on all crops. 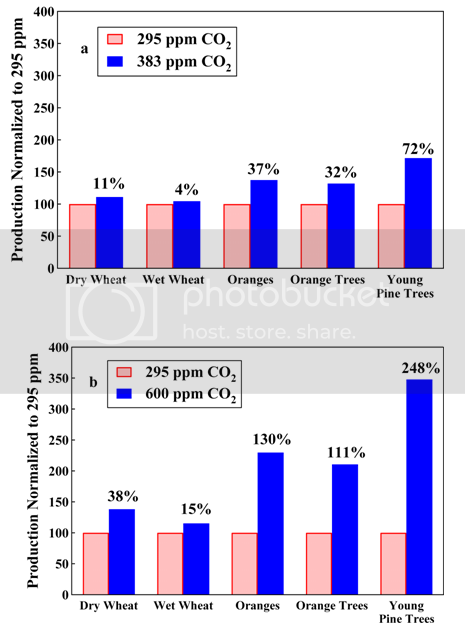 Smokey offers documentation of his claim, and his documentation clearly shows that a handful of desirable crops do indeed grow better in higher concentrations of CO2. His documentation, however, does not address the question I raised, which concerns the differential growth rates of crops and weeds. Boasting about providing documentation doesn’t mean much when the documentation you provide doesn’t support your point. He retails the false claim that earth’s temperature is rising because the solar output is rising. Any second-year physics student can show with a simple calculation how absurd his claim is. Indeed, that material is standard in physics courses taken by engineering students. This fellow appears to have forgotten what he learned in college. I was attacking the notion that “earth’s temperature is rising because the solar output is rising”. I most definitely did NOT write that can not cause an increase in temperature. The difference is that I wrote that the current temperature increases are not attributable to increases in solar output, whereas he accuses me of claiming that increases in solar output could not yield temperature increases on earth. I implore everybody: if you’re going to attack somebody’s claims, make sure that you read them carefully and respond to what was actually written, rather than what you imagine was written. We have already wasted too much time dealing with this problem, which could be prevented by a modicum of effort. Now, here’s the fundamental flaw in the petition: it has absolutey no verification process. All you do is download their form, sign it, declare yourself a scientist, and mail it back. They don’t check up on you. Make a hundred copies, give each a different name and different scientific discipline, and there’ll be hundred more names on the list. This will put you in such good company as “Dr. Frank Burns”, “Dr. Pierce”, and “Dr. Honeycutt” (remember M.A.S.H.? You’ll also discover that the Spice Girl Geraldine Halliwell is a truly talented individual, being listed as “Dr. Geri Halliwell”. Under these circumstances, this petition has absolutely zero credibility. You wanna talk about hoaxes? Here’s a provable one. What’s particularly funny is how gullible the “skeptic” movement is. If you Google the first ten words of the petition, you’ll get 11,000 hits, and if you skim through them, you’ll find that most are from sites that approvingly report on the petition. Think of it: thousands and thousands of AGW “skeptics” who pass along the story of a hoax that anybody could penetrate in less than one minute. These skeptics seem to be very selective in their skepticism. My hypothesis implies that some plants do not grow better in atmospheres with enhanced CO2. Now, what do we have to do to resolve the competition? The standard approach is to ask, what observations would disprove one of the hypotheses? To disprove my hypothesis, you would have to carry out experiments on a broad range of plants from a broad range of environments. Experiments of this range have not been carried out. So, it appears that your hypothesis has been disproven and my hypothesis has been confirmed. What names do you want to call me now? Here’s the difference between Gore and Hartmann, though: Gore’s arguments are supported my mainstream science. No. Even the IPCC goes dead against the claims made by Gore. Gore is very, very far out of mainstream pro-AGW science. They drew conclusions before it even got 10% of the network surveyed, then published those conclusions in the form of opinion, without even looking at the data. I’d like to address the common fallacy that scientists are willfully distorting the science of AGW. If we were Arisians, we could do science by consensus. As we are mere humans, only completely open results and reproduction of results wvwn comes close. Any agency that does not fall all over itself to provide full data and methods to those of opposing views (whose specific motive is to disprove) is practicing alchemy, not science: The results may even be correct, but they are, by definition, NOT science. NASA, NOAA, IPCC, and HadCRUT practice alchemy. UAH and RSS practice science. I challenge you to point to anti-AGW papers published by say the AAAS or NSF grants to AGW opponents. Note that the letter was authored by 16 scientists from three countries representing six different scientific institutions. Golly gee, it took me all of two minutes to find 16 scientists who don’t seem to be terrorized by that Grand Commie-Marxist Leftist Conspiracy you’re so sure is lurking out there. It has taken you longer to defend yourself than it would have taken you to find out the truth. Jerry Magnan criticises me for my comments about Stalinism and Lysenkoism. I don’t see any point in his comment other than an apparent resentment at me for not condemning Mr. Stalin with sufficient heat. Would you care to expand on the point? Be honest – of the people you know personally or who you support that subscribe to the AGW/catastrophe theory, what percentage are solid liberals? And any solid conservatives in that group? I doubt it. Be honest – of the people you know personally or who you support that reject the AGW/catastrophe theory, what percentage are solid conservatives? And any solid liberals in that group? I doubt it. And then proceeds to demonstrate the applicability of his point by mixing anti-AGW comments with conservative comments. I live in Texas. I hope what you say is true. But, here housing and buildings are going up like crazy. However, no developers care about the trees. I’ve seen our area go from great air quality (10 years ago) to 2007 ozone warnings so bad that schools didn’t take children out to play. Keep in mind this has been in 10 years, tops. Without plants, global warming or not, we will all die. There is total disregard for replanting. Building homes and keeping some original trees is rarely even considered. The land is cleared of everything. This is worse when it comes to industrial plants or commercial buildings. Shopping centers and parking lots, take the place of what was once full of trees or at least grass. In some cases, they plant some bushes. But, with population increasing are the bushes enough. I think not. There is a man known as the “Father of Climatology”, Reid Bryson. The excellent CO2 site http://co2science.org/ is a great resource on all things CO2 related. The introduction of supplementary carbon dioxide into the greenhouse has been found to significantly increase the yields of greenhouse tomatoes and other vegetables. Supplementary carbon dioxide is most effective on days when the greenhouse has been shut up for several days with no ventilation. Maximum results can be achieved by injecting 1000-1500 ppm CO2 into the greenhouse using propane burners or other CO2 generators. The level to which the CO2 concentration should be raised depends on the crop, light intensity, temperature, ventilation, stage of the crop growth and the economics of the crop. For most crops the saturation point will be reached at about 1,000–1,300 ppm under ideal circumstances. A lower level (800–1,000 ppm) is recommended for raising seedlings (tomatoes, cucumbers and peppers) as well as for lettuce production. Even lower levels (500–800 ppm) are recommended for African violets and some Gerbera varieties. Increased CO2 levels will shorten the growing period (5%–10%), improve crop quality and yield, as well as, increase leaf size and leaf thickness. The increase in yield of tomato, cucumber and pepper crops is a result of increased numbers and faster flowering per plant. The benefits of supplemental CO2 in regard to accelerated plant growth and maturity has been widely known and proven among people that grow plants for a living for a long time. Politics should NEVER drive science! Without intellectual integrity, humankind is doomed. Precisely, Opie. And that is the crux of the problem with AGW – it is not science, but pseudoscience, propped up by politicians like Gore and pseudoscientists like Hansen, along with the MSM. If you think you have some proof of the AGW hypothesis (I doubt it), then by all means, present it. We’re all ears. Otherwise, you are just blowing smoke. His response was to admit that he had no evidence, but he nevertheless sticks to his position. FYI: that was my very first (and only) post on this thread. Just exactly when did you challenge me? I submit you did nothing of the sort. I know it’s daunting to slog through and answer a lot of posts but try to be a lot more careful. You’ve not only misattributed statements to me but (deliberately?) misquoted me as well in your paraphrasing. You also (deliberately?) missed my point. That’s a troll’s trick. You don’t really want to go there. A further reduction in the tropospheric ozone burden through bromine and iodine emitted from open-ocean marine sources has been postulated by numerical models, [footnote reference deleted] but thus far has not been verified by observations. is saying our models may need adjusting. Also hardly an anti-AGW statement but something those relying on model output may not want to hear. Swampie offers evidence supporting my statement that increased CO2 concentrations improve SOME plant growth. Thank you, swampie. Combine that with the study I cited above in my 13:12:31 post and we have support for both parts of my claim. Politics should NEVER drive science! Without intellectual integrity, humankind is doomed. Precisely, Opie. And that is the crux of the problem with AGW – it is not science, but pseudoscience, propped up by politicians like Gore and pseudoscientists like Hansen, along with the MSM. If you think you have some proof of the AGW hypothesis (I doubt it), then by all means, present it. We’re all ears. Otherwise, you are just blowing smoke. If you’d like to see some proof of the AGW hypothesis, I suggest that you read the IPPC report. Ophiuchus’ posts are an interesting example of how SOME AGW proponets TYPICALLY write. First, let’s see who is the invective one? Anyone want to guess who made the following comments? This demonstrates gross ignorance on his part. 2. The whole “water vapor is a more important greenhouse gas” argument is truly pathetic. Any second-year physics student can show with a simple calculation how absurd his claim is. This fellow appears to have forgotten what he learned in college. But endorsing this idea at this time can only be based on ignorance of its ramifications. Will anti-AGW people NEVER learn? This is a sin against intellectual integrity. However, my impression is that the great majority of anti-AGW people are political conservatives who have instead followed the dishonorable tradition of subordinating truth to political preference. If I had been the one to make those comments I wouldn’t be accusing others of being invective. You actually raised the question, then talked about the negative situation if it were true and didn’t focus on the positive. Why would you only focus on the negative? What’s the point of that? Is the postive more or less important? Then you SEEM upset over the use of the term ALL. It’s true that you did say “effect on ALL crops”. Then what’s really the point. We will never probably do a test on ALL crops. Do you propose we do a test on ALL crops or just SOME? We have patronization, indignation and condescension all in two short sentences. Nice job! I have a better idea for Opie, assuming he’s brave enough to use his real name. Put us all to shame, demonstrate your pure crucible of unassailable scientific reasoning and enrich yourself by half a million dollars in the process. No fair claiming it is “unwinnable”, which is the first easy out chosen by many. The money is there and they will honor the rules. You believe in what you write and the facts behind them, so stand behind them. Show us all, win the prize. Put the question to rest once and for all. Move on citizen. Nothing to see here. You don’t have to go home, but you can’t stay here. I think we’re all learning something about Ophiuchus’ methods. As with you, I made no such claim, and he made up a point of view with which to argue. DAV, I suggest you make a decision as to how you want to spend your time. Looks like the Greatest Generation is once again saving the world. I loved the desert night cooling example. I’ve experienced the opposite with humid nights that just won’t cool off. I did not challenge Dav, I challenged Mr. McDonald. 1. You did not offer any evidence in support of your position. You offered an analogy. 2. You continued to support Mr. McDonald’s claim. I did not misquote you because I did not offer my statements as quotes; by not putting them in quotation marks, I made it clear that I was presenting my interpretation of your statements. I claim that you offered no evidence. If you think this is a misrepresentation of your writing, please point out the statement in your post that you believe constitutes evidence. Your interpretation of the significance of the paper I cited is, shall we say, different from mine. The authors demonstrate that an assumption common to many of the models that formalize the AGW hypothesis is in fact false. They’re saying “This component of AGW is wrong.” And you regard that as supportive of AGW?!?!?! which do you think they’ll choose? This thing is a political stunt and a scam. If these guys were serious they’d use an independent panel of judges comprising the best minds in climatology right now — the kind of minds that you find at, say, the NAS. But the fact that they rely on their sole judgement, and not the judgement of an independent panel of experts, pretty much gives away their political intentions. mcates gets personal with some gotcha games. What mcates was unable to discern in that long list is that not one of my deprecating remarks was made about an individual commenting here. I have been civil to all with whom I interact. Yet an enormous amount of invective has been directed at me personally. At this point, I’m going to issue a request to Anthony: will you PLEASE MODERATE this board? There’s a lot of pointless invective here. It’s your board, and you have a clear choice: do you want this to be a political board or a scientific board? Do you want it to be a place of discussion or a mudpit? It will be very easy to get rid of me: all you have to do is declare that you have no intention of maintaining any standards of civility or relevance. John M. takes me to task for misinterpreting his statement. Very well, John, if I have misinterpreted your statement, what was it that you were trying to say? I now know that you weren’t offering an argument based on correlations between temperature variations and CO2 in the 20th century — you’ve made that clear. So what is the point you were making in that paragraph? Woops! Sorry for the semi-double post. It was due to a hiccup in my browser. One had more content than the other so I left both. Yeah, John, I saw that and thanks! I didn’t mention it there because my posts are getting too long as it is. I’m pretty much done with Ophie. I’m beginning to doubt his sincerity. Even if he is entirely serious, he isn’t open to reasonable discussion because he can’t seem to understand what’s being said to him. The Greek “Ophiuchus” roughly translates to snake-holder. I think the name belongs more to us considering Ophie’s wriggling. Opie, why not write it up anyway? We’d all be interested in seeing what you have to say about it. Either JS added that clause after they upped it to $500k or I missed it because I don’t recall seeing it when was at $150k. It may have been a requirement of the money backer. But, still it doesn’t prove the contest is unwinnable, it means you think it is though. What has been missing mostly is proof of the effect of a doubling of CO2 and climate sensitivity. The “proof” of AGW is subjective interpretation of model output that in my view is too simplistic since it ignores the role of clouds and focuses mostly on positive feedbacks. IMHO, if somebody came up with a solid proof that is derived more from first principles than model speculation, I’d be more likely to accept it than the models we are running now that have a great deal of missing elements. It’s not about computing power, it’s more about the inability to understand and mathematically describe a complex system with chaos involved. You should be able to improve upon what has been done so far. Sir, you are making an assumption that I haven’t been moderating. I’ve given you free reign to say anything you want. I’ve also snipped and left comments unpublished that were out of line. [from others] But you wouldn’t know that would you? The comments not published aren’t there. It’s easier to simply declare me as “ineffective”. Your tendency to talk down to people, and your starting off on the wrong foot by using the label “deniers” hasn’t helped either. I don’t blame you though, lots of people in academia act the same way. James Hansen labeled me a “court jester” after my surfacestations project helped McIntyre uncover a data error in his GISS database. I think there is a tendency, which you’ve demonstrated here, to treat laymen and citizen scientists with disdain. Most of all your choice of handle hasn’t helped, it appears, um, how show I say this delicately? “Above all” – probably in reference to the heavens from which it is taken. Notice that most everyone has stopped addressing you as Ophiuchus. This is why I encourage use of real names. Anonymity, especially from a “man of science” at a major university, doesn’t set well with many, including me. If you believe in what you profess, put your name behind it, otherwise it’s just noise. The Internet is full of noise, you learn to live with it. Create your own personal filter. Personally, I blame Al Gore. Stay if you like, but if you want “bliss with no diss”, go play at Real Climate where your writings will not be challenged. If challenge suits you, play here. In defense of Ophi, he must feel like Custer. I don’t agree with most of what he says, but he does make a few good points, e.g. NAS. What’s that all about? Yes. I would regard Lysenkoism as cognitive error, aided and abetted by a dictatorial regime. As deluded as he was, Lysenko probably sincerely believed in his own theory. A hoax is an invention by people who cynically exploit it for their own nefarious, or often jokester, purposes. A different order altogether. But you and others are claiming fraud. So is global warming simply mass hysteria caused by junk science, or is it a fraud and hoax maliciously perpetrated by people with sinister intent? So you say, but most climate scientists say otherwise. Who should I believe, and why? A large-scale hoax such as AGW is purported to be requires a conspiracy, at least at the top levels. There are thousands of people involved, so a large-scale hoax of this type requires organisation on a correspondingly large and secretive scale. I am aware of that, which is why I queried the preference for ‘hoax’ over ‘cognitive errors’. No, but as above, the top levels must be in on the hoax, and the perpetration of large-scale hoaxes requires large-scale organisation. The important point is that the hoax claim relies on the purported existence of a malevolent group of people who peddle the hoax in order to further their sinister designs upon humanity. That’s “Brendan” with an “a”. Yes, my argument is a logical one, but logic provides a good test of arguments. That’s its purpose, and it’s valuable for someone like me who is not a climate scientist. I like to flatter myself that I am an ‘intelligent layman’, but when it comes to climate science I am a novice. That means that while I can understand the basics, I am in no position to judge the finer detail. In that case, when sizing up the options, I must rely on other means to enable me to judge the merits or demerits of the case. One of these means is to look at the methods of argument used. On the subject of “proof”: there ain’t no such thing in science. Nobody has ever proven anything. You think there’s a scientific law that has been proven? OK, let’s take Newton’s Third Law. How do we know that somewhere in the universe, or at some time in the distant past or distant future, there will be an action that does not have an opposite and equal reaction? We simply can’t know these things. This is not just a matter of obscurantism. There are always extreme physical conditions that require revision of our laws. Newton’s Laws have already had to undergo revision twice, once for Special Relativity and once for QM. It is impossible to prove AGW. It *is* possible to disprove it, but never to prove it. Therefore, the final decision is ultimately a matter of scientific judgement. You look over all the arguments and you weigh all the factors and you make a judgement call. That’s why we rely on groups of scientists, not individual scientists. That’s also why some people will never be convinced. They’ll insist on the impossible standard of proof and, not having it, they’ll feel righteous in their rejection of AGW. There are still people who believe that the earth is flat. There are still people who believe that the Apollo landings were a hoax. There are still people who reject Darwinian evolution. And 50 years from now, there will still be people who reject AGW regardless of the climate at that time. (There will also be people who insist that AGW is true regardless of the climate at that time.) These people hurt our society because they subordinate rationalism to political preference. “Damn the facts, I’m a conservative/liberal and I know what I believe!” If the experts come to a conclusion that these people reject, then they dismiss the experts as having been bought off or scared off by the Global Conspiracy that they’re sure exists. The sad thing is, you (I’m speaking in the plural here) do have a case to make. I think that there’s lots of material to explore regarding the various feedback mechanisms. We’re still discovering obscure feedback mechanisms and that, combined with the uncertainties we have about known feedback mechanisms, provides a good angle of attack. However, most of your problem is that you’re chasing a conclusion rather than the truth. You’ve already made up your minds and you are merely seeking to prove your case. That weakens you because it closes your minds to any truths that you find unpalatable. When you attack everywhere, you end up succeeding nowhere. Pick the ground where you have the greatest advantage, and push hard there. You squander your credibility when you go after every jot and tittle of AGW, because you thereby demonstrate that you’re not interested in the truth, but the outcome. Anthony questions my decision to remain anonymous. I need only point to the large number of derogatory comments directed at me by so many commentators here. Obviously, many people here hold ill will towards me personally. Are you, Anthony, willing to accept all financial responsibility if somebody from this board hunts me down and physically assaults me? Are you absolutely certain that there aren’t lurkers who are capable of such a thing? Some years back I had a frightening experience with a left-wing nutcase who, after much labor, managed to penetrate my anonymity and sent me emails telling me that he now knew where I lived. Nothing ever came of it, but I don’t want to repeat that experience. So please respect my security on this matter. Anthony, I do owe you an apology for failing to take proper note of whatever nasty comments you blocked. I still believe that too much personal derogation got past you, but I do appreciate whatever measures you did take. Based on what got through, what you blocked must have been truly ugly. On my own blog, the rule is that you can’t even refer to any individual; you may refer only to ideas, not people. I have relaxed the rule a bit because so far we haven’t had any arguments — just discussion. I’ll be moving on now. I enjoy a good discussion with people who disagree with me, but we are now arguing, not discussing. Nobody learns anything from an argument. On the subject of ‘political’ allegiance and AGW, it’s probably true that left-leaning or ‘liberal’ types are generally pro-AGW, while right-leaning or ‘conservative’ types are generally anti-AGW. For obvious reasons, these political – and no doubt, ‘cultural’ — leanings say nothing about the science either way. I think it’s also true that ad hominens, insults, accusations of ulterior motives, intemperate language etc are par for the course in most online AGW debates, just as they are for other subjects. We can deplore this, but neither side can claim the moral high ground. However, the hoax claim seems to be almost exclusively the preserve of the anti-AGW side. I have wondered why this is, and my conclusion is that it’s a reaction to a perception that their case is being ignored, as it is with the creationists and evolution. Hence, the ongoing demands for ‘debate’. At first sight, this demand for debate is an oddity, since the media, and the online media in particular, are awash with debate over global warming. I suspect that when anti-AGWers demand debate, what they really want is to be heard, by the general populace, and in particular by the powers-that-be. To be heard means that sceptics want to be accorded the same level of respect as AGW scientists, and their concerns to be officially taken on board by the likes of the IPCC. The fact that this is not happening, or at least believed to be not happening, circles back to the hoax claim: sceptics believe their case is solid, it is not being heard, therefore, gatekeepers are deliberately shutting them out, and they are doing so because they have some nefarious, non-scientific purpose in mind. I accept that scientists of all stripes have their ideological and personal biases, but an extraordinary claim of hoax requires extraordinary evidence, and I have seen nothing persuasive. Ultimately, for the layperson the AGW issue boils down to: who can I believe? Hoax claims merely dent the credibility of the claimant. In the past I’ve had fish tanks as a hobby. Several years ago a guy who works in the local aquarium supply store showed me a new CO2 injection system for aquarium plants that they’d just gotten in. He said he’d already bought one and had just installed it in his fish tank at home [it used those little 12-gram CO2 cartridges that some BB guns use]. He went on to tell me how the plant growth in the tank had “exploded.” Now, whenever I hear about the effect that increased carbon dioxide has on plants, I still remember how excited he got over his new CO2 injection system. Iguess I should have been more specific in my previous comment. Does NAS support AGW theory and why? And Opie’s big “proof” of AGW is…. drum roll…..The IPCC Report! That is Comedy Gold, Opie. Well, at least we know the Serpent Holder doesn’t lack for ego. I guess Opie has never met a mathematician. Sorry, Opie, that’s your schtick. We want the real science — not your pop science articles. You set that strawman up and knocked him right down, didn’t you, you brave strawman killer you! Little bit o’ red herring in that argument, too. The debate issue is a sore point, not an ‘oddity.’ Those putting forth a hypothesis [in this case, anthropogenic global warming resulting from increases in atmospheric CO2, which will lead to global catastrophe] have the burden of proof. Understand? Skeptical scientists have nothing to prove; the status quo is the status quo. And so far, those hypothesizing AGW/CO2/catastrophe have completely failed. That is why we demand a debate. Not the free-for-all shouting match in the media, but a genuine, moderated series of debates in a neutral university venue, in which each side is allowed to choose its debate team. But one side — and one side only — absolutely puts its collective tail between its legs and runs away from any real debate: the scaremongers promoting AGW. Why do they run and hide from a real debate? The answer is crystal clear: because in the one moderated, public debate held on the question of AGW, the audience was polled going in, and the majority said they agreed with the AGW hypothesis. Following the debate, the audience was again questioned. The result: the majority had changed their minds, and rejected the AGW hypothesis. The skeptics won the debate. Those pushing the falsified AGW agenda do not want any real debate. They hide out from any genuine debate. Furthermore, James Hansen, Michael Mann, and others who are flogging the AGW pony refuse to publicly archive their data and methodology — which were paid for with taxpayer funds. There is only one reason that Hansen, the UN’s IPCC and others trumeting AGW refuse to publicly post their research: it is inaccurate and/or fraudulent. And they know it. AGW has been repeatedly falsified, although we never hear about it in the media. But if there were a series of public debates at a major university, you can bet it would be front page, above the fold news. Those pushing the phony AGW scare can not afford that kind of publicity. There is too much tax money at risk. Not to mention that Hansen’s, Mann’s and the UN/IPCC’s career reputations would be in tatters if the truth about their hidden data and phony methodology were to see the light of day. So please, Opie and Brendan, tell us just one thing: why do you think Hansen, the UN/IPCC, Mann, etc., refuse to show the public what the public paid for? After all, these aren’t nuclear secrets. This is just climate data. I have a feeling that in the future someone will be posting here that reminds us all of Ophi, but he will have a different handle. We should be reasonable with those who disagree with our side of the argument. A number of us came to scoff and stayed to pray. Many of us were once OC2 AGW-theory supporters once. (Well, not me. I have been skeptical since the getgo, 20 years ago. But I had near-unique advantages.) We should let our, well, arguments do the arguing. We are men of the world and we are here to discuss a serious and complex scientific issue with profound policy implications and many, many human lives at stake. If there is any ignorance going on it is not on account of a badly skewed press, not the readers. Opie, you are long winded and boring. Let’s settle it. And it has already disproven itself. Your models based on AGW “science” consistently show ocean and trop heating. Neither are happening. The models that don’t show ocean and trop warming don’t show significant ground level warming either. The best you people can now do is rant and try to modify data that, while not being perfect, are good enough. No, all it requires is a group of people who may sincerely beleive they are right but are not. History is replete with examples. Here is exert from NSA. Please read carefully. It doesn’t sound to me as a glowing endorsment to the “CO2 Drives the climate theory”. As others have noted, I think it is a distraction to make the AGW issue into mainly a political one. If I am anywhere politically, it is on the left. But I do not think man made CO2 is driving any significant global warming (or “climate change”) if you will. This issue is a scientific issue. I am an engineer and amateur astronomer, and my judgement is that the Sun is the factor we should be interested in. The judgment is not founded in politics. I am sure it is possible to show a diagram illustrating correlation between belief in AGW and political preferences, but as we all now correlation does not mean causation. Or do you think a successuful political campaign could change the global temperatures? I don’t think so. Yes, but the debate did not establish the truth of the wining proposition. All it established was that one side won the debate. Many in the audience may well have been intelligent, thoughtful individuals, but I doubt that many were climate scientists. As far as I am aware, science is not decided by debate and polling the audience. It’s decided by the scientific method and the views of the relevant scientists. The people who demand public, formal debates will surely know this. In that case, their demand is more about wanting to sway the crowd and defeat their rivals than it is about pursuing the science. Perhaps climate scientists should take part in public, moderated debates, but I suspect many are not well suited to that type of forum. And there are surely other forums where climate scientists can debate the science with their peers. Sorry, can’t answer that. I’m not familiar with the details. Evidence for my claim that many scientist are under threat. Oregon Gov seeks to fire and pull title from George Taylor, Oregon State Climatologist. Richard Lindzen, the professor of Atmospheric Science at Massachusetts Institute of Technology claimed: “Scientists who dissent from the alarmism have seen their funds disappear, their work derided, and themselves labelled as industry stooges. “It is my intention to destroy your career as a liar. If you produce one more editorial against climate change, I will launch a campaign against your professional integrity. I will call you a liar and charlatan to the Harvard community of which you and I are members. I will call you out as a man who has been bought by Corporate America. Go ahead, guy. Take me on.” In a July 16, Washington Times article, Eckhart confirmed that he did indeed write the email. Robert F. Kennedy’s son, who grew hoarse from shouting. “This is treason. And we need to start treating them as traitors. … Are you satisfied with the poppycock? Or do you want more examples of the Global Warming Inquistion? All the best to you Opie. I got your point about some plants are better with CO2 vs. all Plants. However, I’ll bet “some” plants equal 99% of all plants and you would be hard pressed to find a plant that does not do better than 400 ppm CO2 vs. 280 ppm. Please list a couple of plants if you know of any that would fit your criteria – I would find it very interesting despite our opposite viewpoints. Climate science, which was in its infancy was taken over by by proponents of the AGW hypothesis, who used it for political and financial gain. The normal scientific process was sidestepped completely. Then the MSM began hyping it (alarmism sells), and the general public didn’t know what hit them, and of course believed it (for the most part). presumably there are ethics committees to look at scientific fraud, which I understand is taken very seriously. Not that I’m aware of. Even if there were one, I’m not sure it would be immune from politics, and would likely be rife with AGW supporters. When the AGW fraud is exposed, the fallout will be enormous, I’m afraid. However, the hoax claim seems to be almost exclusively the preserve of the anti-AGW side. No, Brendan, not even close. Or did you miss the entire “oil money funding” accusation, repeated ad nauseum? The AGW crowd has been leveling accusations that their opposition was “hoaxing” the public pretty much since the discussion started. So, no, it’s not exclusively the preserve of the skeptics. And extremely obviously so. You’re operating on your assumption that you’re right again. It becomes so tedious hearing someone with apparently no degree in either climatology or meteorology himself, criticizing intelligent individuals because they may not have a degree in those exact sciences. How would Brendan H know their level of education, anyway? Brendan H may nitpick the following individuals, but the more neutral readers here – those interested in the actual science of climatology – might be interested in reading what highly educated climatologists and physicists have to say about the hypothesis of catastrophic anthropogenic global warming resulting from increases in carbon dioxide. The following link is from one of the world’s foremost climatologists, who heads the Atmospheric Sciences department at M.I.T., which is one of the country’s premier science/engineering universities. Let’s hear what he has to say about the alleged AGW “consensus”: click. Notice that all the arm-waving about AGW by folks like Brendan H and Opie are based on their conjecture and opinion. They typically nitpick a selected sentence, or they use ad hominem attacks against professors of climatology at top tier universities, because they are personally incapable of credibly refuting the science. The empirical [real world] evidence currently points to global cooling, not warming — and certainly not catastrophic AGW [the hypothesis essential to generating grant money, which is what AGW is all about]. Most readers here are open to any proof of catastrophic AGW — if anyone is able to provide it. In the mean time, I lean toward the educated analysis of the climatologists and physicists mentioned above, over the unfounded armchair opinions of those still pushing the AGW/CO2/global catastrophe hype. This brief history focuses almost exclusively on Margaret Thatcher and ignores the extensive early work in climate science, which began to take off in the 1950s. By the time Thatcher came on the scene the scientific work was well under way. Nor does the Thatcher claim explain the extensive research work in the United States and elsewhere, places beyond the reach of her political authority. A history of the early years of AGW will show that the initiative came primarily from climate scientists rather than politicians. But you will know all that, because as a sceptic you will have researched the subject rather than taken someone else’s word as gospel. You imply a total corruption within science. Is this likely? What sort of fallout do you have in mind? That’s an ad hominen, if used to discredit a sceptic’s arguments. A hoax is a positive thesis, not a mere gainsaying. The aim of the hoaxer is to persuade others to believe in something that the hoaxer knows is false, not to persuade others to doubt something that may or may not be known to be true. The latter is plain deception, not a hoax. Smokey: “How would Brendan H know their level of education, anyway? I don’t. But it’s a reasonable assumption that most of the audience were not climate scientists, unless that part of the world produces a disproportionate numbers of such scientists. Straw man. Not all AGW scientists argue for “catastrophic” AGW. IPCC reports certainly apply many caveats. And even some sceptics, such as Lindzen, accept AGW, but dispute the potential effects. The fact that a few well qualified climate scientists dispute global warming or its effects establishes nothing. The general view is that the evidence for AGW is convincing. Majorities are not always right, but it’s more likely that, over time, scientists offering a range of views will provide a more reliable judgment than the odd contrarian. As I say, for the layperson this issue ultimately comes down to: which scientists do I believe? Time will tell which are right, and we may be in for some surprises, but to date the evidence supports AGW. As I understand it, deception in science is regarded as a very serious matter. It can kill a scientist’s career. If you have any evidence of deception you should take it to the relevant authority. According to a graph on this site, the last ten years have been the warmest in the past 30 years. 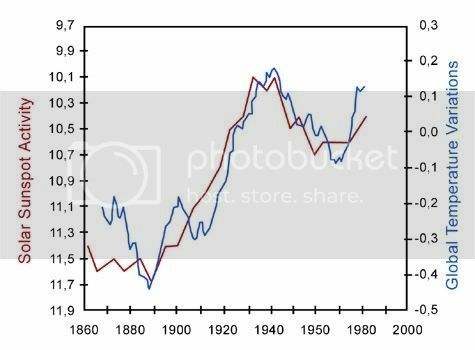 In other words, the trend of global temperatures has been upwards, and current temperatures are consistently elevated above earlier decades. A history of the early years of AGW will show that the initiative came primarily from climate scientists rather than politicians. My point, which you conveniently overlooked, and which you would know if you had bothered to look at the link was that the AGW hypothesis didn’t take off until Thatcher started pushing it, and both she and her UK political party had a lot to gain by doing so. Yes indeed, Brendan, climate science has been corrupted by the AGW hypothesis, for the very reasons already stated, but you, as an AGW Believer wish to ignore that. The AGW hypothesis is a dying one, and is only propped up now by politicians, by the MSM, and by pseudoscientists like Hansen, as well as others who are on the AGW gravy train. Well, guess what? That gravy train is being derailed, as well it should be. The consequences will not be pretty, believe me. As I say, this explanation ignores the substantial amount of scientific study of AGW before Thatcher began to speak publicly on the matter in the late 1980s. In 1983 the National Academy of Sciences released a report estimating the warming effects of increased CO2 on atmospheric temperatures, and a US Environmental Protection Agency study estimated possible environmental and economic effects. In 1985, an international conference of scientists warned of future atmospheric warming due to emissions, and the IPCC was formed in 1988. So Margaret Thatcher was one of the voices that helped to bring the matter to the attention of the public and other politicians, and she also helped create an institution to research the subject. But the claim, or at least implication, that AGW was the whole-cloth creation of politicians, and one politician in particular, is false. No train derailment is pretty. I notice you have a fondness for the darkly prophetic hint of imminent apocalypse. Sounds rather alarming. Brendan, you are being disingenuous about the history of AGW. You keep talking about the mid to late 80’s, which is when AGW was already well on its way. I repeat, Thatcher used the issue to gain political power, beginning in 1979, campaigning about it at summit meetings. She was aided and abetted by her UK political party, who had their political reasons as well. Soon, politicians from many other countries, seeing an economic advantage to their countries, joined the bandwagon. The truth or falsity of AGW had nothing to do with it then, and that remains the case today. AGW is now a multi-billion dollar industry based on a fraudulent claim; that man’s C02 is harmful, and driving climate change. The “left-right / motive / hoax / fraud / conspiracy / he doesn’t know what he’s talking about / he’s not qualified to say” points are all jolly amusing but they really don’t add up to a hill of beans (I’m off to the US in a few weeks, so thought I’d practice my American-English with “hill of beans”). What matters is the evidence. I’m a lawyer not a scientist, so I am not qualified to assess much of the technical scientific research; but I am qualified to judge whether I am satisfied by the evidence put forward. I can only judge it for myself not for anyone else, I can only judge it by applying my notions of common sense and I bear in mind at all times that others might disagree with my conclusions. Where I read of others disagreeing with my conclusions I weigh-up the points they make and see whether they cause me to change my mind either wholly or in part. If there is evidence that someone might have a personal motive for reaching a particular conclusion one might feel it necessary to examine the evidence more closely for fear that his motive might skew his stated conclusion; yet if that evidence supports the conclusion then his motive falls away. If the evidence does not support his conclusion then it matters not a jot whether the conclusions have resulted from the application of a biasing motive or a simple arithmetical error. In the article cited here Mr Hartmann criticises the AGW theory as a construct of the political left, but he seems to do so linguistically not substantively. First he sets out his arguments on the evidence (as he has assessed it) and then he attributes motive ex post facto. As I understand his article he does not say “Mr Gore and his friends are lefties therefore I dismiss their propositions.” Rather he says “I dismiss their propositions because I believe them to be unsupported by evidence and I believe the reason they put forward conclusions unsupported by evidence is because they are lefties seeking to promote a political cause.” His attribution of motive makes no difference to the accuracy or inaccuracy of his analysis of the evidence. Mr Gore’s case does not get stronger if he is proved not to be a lefty, nor does it fail simply he is proved to be a lefty, it stands or falls on the merits of the evidence he puts forward. When we examine whether a conclusion is supported by the available evidence we use various analytical tools. One of the most common is to examine how the conclusion has been reached. If a witness says “I was at Waterloo Railway Station in London at 6pm” I might ask him what he did during the day and how he reached Waterloo Station. If he were to say “I had tea with my friend in Islington, North London, and took the number 73 bus at 5.50pm straight to Waterloo” I know his conclusion is not matched by the path of his evidence – quite literally in this example because the number 73 bus does not go to Waterloo and the most direct route by road takes at least 20 minutes. His conclusion fails because the steps which he says lead to that conclusion are not consistent with it. It is a simple technique which underlays much cross-examination in courts around the world. Another analytical technique is to see whether the proponent of a conclusion has, when challenged, said or done anything to obstruct independent investigation into the issue. Let us assume that John Doe submits a claim for expenses to his employer. The employer does not usually requires receipts but sometimes asks for them. When John Doe is asked to provide a receipt for the cost of an aeroplane flight he says “you don’t need a receipt you can trust me”, when pressed he repeats the same words. The employer knows there will be a paper-trial proving one way or the other whether John Doe took the flight, his attempted obstruction of the investigation causes suspicion. It might well be that paperwork is produced when the employer insists, but in the meantime there is suspicion which causes the investigation to be pursued not abandoned. Applying the first of these two simple analytical techniques to the conclusions which Mr Gore and the IPCC ask us to accept, I find it very difficult to accept them. The path they take in order to reach their conclusions is littered with serious questions about: (i) the temperature measurements they have relied on, (ii) their apparent dismissal of the sun as a major factor in variable average earth temperatures, (iii) their assertion that rises in temperature follow chronologically from rises in CO2 levels when the opposite appears to be the case, (iv) their absence of explanation for the Maunder Minimum and the Little Ice Age, (v) their reliance on models which have consistently failed to reflect what has actually happened since they were set up and many other matters. This does not mean, to my mind, that their conclusions are wrong, but it does lead me to have serious doubts that their conclusions follow from the path of supporting evidence on which they rely. I then ask myself what I should make of the assertions: “the debate is over” and “the science is settled”. In one way that is easy, debate is never over on anything ever; science is never settled on anything ever. Not once. Not now, not yesterday, not last year, not in the distant past, not tomorrow, not next year, not ever, never, never, never; lest there be any doubt, I mean never. Did Mr Gore make these absurd statements because he believes them to be true? Did he make them in order to try to maximise the life of his highly profitable lecturing business? Did he make them because he believes the evidence he relies on not to support his conclusions? Were they just soundbites thrown out during a speech and thought to be persuasive but substantively meaningless? I don’t know the answers to these questions, but what I do know is that seeking to stifle debate makes me suspicious. Indeed, I only started looking into the whole AGW “thing” when I heard Mr Gore tell me I shouldn’t. His assertions made me question his motive and thereby required me to look at the evidence. But that is the only place motive has in a debate such as this – whatever his motive might be, his evidence stands or falls by itself. Mr Hartmann’s paper is not conclusive it is just another piece of the argument. Make of it what you will. Criticise his scientific propositions if you can do so on the basis of evidence. Criticise his conclusions if you believe they do not follow from his scientific propositions. But do not try to dismiss his case on the basis of motive, all you will achieve is to damage your own credibility. I have not questioned Hartmann’s motives, merely pointed out the flaws in his argument. Nor have I accused him of advancing an ad hominen argument. Whether or not he did so had nothing to do with my objections over his claim that AGW is a hoax. And my objections had nothing to do with Hartmann’s claim that the hoax is leftist. My objection would still apply if he claimed AGW was a rightist or centrist hoax. The argument here is that the IPCC is pushing a scientific hoax in order to gain power. That is quite clearly an ad hominen argument: the IPCC desires power, therefore AGW is false. So, yes, Hartmann is playing the man. Am I invoking motive to dismiss his argument? No. I’m merely applying a simple analytical technique to critique his argument. Perhaps applying those skills to the IPCC would helpful and those on the left that find their arguments so convincing. Hmm… perhaps applying those types of skill before I post would help the sentence to make more sense. Perhaps applying those skills to the IPCC and those on the left who find their arguments so convincing would be helpful. You make a fair point Mr Brendan, although I do not see that extract from Mr Hartmann’s article as part of his scientific analysis. His analysis is that the IPCC skewed the evidence and here he seeks to give an explanation why they did so. In the end it seems to me to make no difference to the substance of a point whether it includes a personal attack and/or an attribution of ill-motive. If someone tells me a cricket ball is square I could answer him by saying “you are wrong because you are a loathesome spotted reptile” or I could produce a cricket ball from my pocket to demonstrate his error (I don’t always carry one, but I am English so I do from time to time). His proposition is either right or wrong and, therefore, my repudiation of it is either wrong or right based on fact not on the way he presents it or the way I attack it. I agree entirely with your “aside”, but we have to bear in mind that the science of Mr Gore’s theory is one part only of the equation. If we accept that human activity is causing the planet to warm we must then examine three other things: (i) what the consequences of that warming will be, (ii) what steps we can take to reduce warming and (iii) what effect those steps will have on our material standard of living and way of life. We each have to balance whether the detriment we suffer by changing our ways (if we perceive it to be a detriment at all) is outweighed by the resultant benefit. This exercise is not a matter of science, rather it is a very personal judgment, one could describe it as a political judgment. The greater the perceived detriment the less inclined we will be to suffer it unless we really have to. If a hole in a wall of my house might allow a beetle to enter I am less inclined to fill the hole than if the potential intruder is a rat. I believe this explains why the AGW debate tends to be a left-right argument. As a (very) general rule those on the right value material comforts more than those on the left and those on the right value established institutions and practices more than those on the left. So if we are told “you must stop flying in aeroplanes or the world will boil” those on the right will, generally speaking, be more resistant to the command than those on the left. Those who want to continue flying will be more inclined to seek to undermine the evidence behind the proposition that “the world will boil” than those who see no detriment. This makes no difference to the accuracy of either side’s analysis of the science but it helps to explain why those who want the AGW theory to be wrong are inclined to apply a “lefty” tag to their opponents and vice versa. And it doesn’t help that we all like to think we are more impartial and balanced than we really are (except me, of course). As a (very) general rule those on the right value material comforts more than those on the left and those on the right value established institutions and practices more than those on the left. Funny, here I thought the far right was those right-wing redneck poor religious southernersa and fly-over country mid-westerners and the far left was the wealthy aristocratic northeastern yankees and left-cost Californians. You should have 4 bullets, the first being (i) Is human activity causing the planet to measurably warm? Then you can go on with the rest. I say the answer to the first bullet is no. So I can ignore the rest. Fair enough. But if the ad hominen is true it muddies the waters, and if it’s false the debater undermines his own argument. If AGW was a theory with few or no obvious implications for human wellbeing, it would probably be a matter of passionate debate among a few pointy-heads, and the rest of us could get on with our lives. But its implications are otherwise, so how we deal with it becomes a matter of our own judgement and negotiation with others – in other words, as you say, politics (with a small p). My gut instinct on this is that Europeans are more in favour of political solutions than are the Anglo-American countries, and the US is less in favour of political solutions than the Anglo countries. But that judgement reflects my own bias that opposition to AGW is primarily ideological. I’d say that leftists are more comfortable with government solutions, while rightists are more comfortable with market solutions. Fortunately, we don’t have to choose between the two, and government and market solutions can work in tandem. I assume you mean detrimental implications, which have no basis in reality. I have enough American friends to know better than to use “left” and “right” in the sense they are generally used over here, silly me. The point I was trying to make, in my clumsy and inept way, is that we all value different things in different ways and our personal assessment of the value of something necessarily affects the way we view a threat to it. Those who value the creature-comforts of modern life will not only wish to retain those comforts but are likely to view every aspect of a theory that threatens them with suspicion. The very fact that the things you enjoy might be taken from you if Mr Gore is correct, is a powerful incentive to approach everything he says with caution. You don’t like his conclusion so you hope he is wrong in his premise. It causes you to draw a presumption against what he says; the more you fear his conclusion the stronger the presumption and the more you are resistant to proof of his premise. I know that is a strong influence on my approach to this issue. I do not want Mr Gore’s theory to be true, so I approach it with suspicion and latch onto everything I hear or read which seems to undermine it. The same applies in reverse for those who want his predictions to be true. It’s got nothing to do with want. It’s got everything to do with feasibility and evidence. Gore’s got zero supporting evidence. Therefore his, I hesitate to even call them hypotheses, let’s call them ideas, are without merit and not feasible. I respectfully disagree Mr Alberts. The point I made, and which you quoted, defines the state of mind with which I approach my evalutation of Mr Gore’s evidence and conclusions (I usually prefer to call him Saint Al of Gore to reflect the status he seeks for himself). To say that he has “zero supporting evidence” is, if I might say so, erroneous. There is certainly some evidence capable of supporting his case. Whether it goes further and proves his case is another matter entirely. I do not believe it does and, from what you say, I suspect you are in agreement with me. His house does have foundations, they just appear (on the evidence currently available) to be foundations of sand. One of the most powerful criticisms of Saint Al’s case is that it is overstated. A good case is only ever weakened by overstatement. If those who disagree with him also overstate their case all they will achieve is to weaken their own position. By the way, a belated happy 4th of July to you all. Well, All I can say is any foundation he might have had is no longer visible. Take sea-level rise, for example. Even if all the land ice melted today, sea-level rise would be nowhere near his pronouncements. Therefore he has no basis for that proclamation. 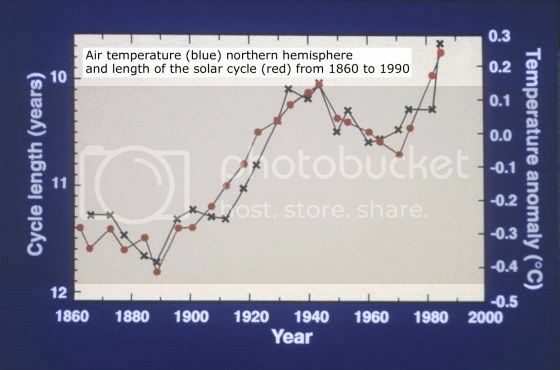 There is no basis for CO2 leading temperature in the past, as he states, etc.